In his annual letter to employees at the start of 2018, Xiaomi Chairman and CEO Lei Jun said 2017 was a turnaround year for the company as it exceeded the revenue goal of 100 billion yuan (~$14.9 billion). Xiaomi ended that year as the world’s fourth largest smartphone brand by sales according to IDC, behind industry behemoths Apple and Samsung, and another rising megabrand closer home, Huawei. As 2018 progressed, Xiaomi leapfrogged its way into more product categories and more geographies, with broader retail and distribution than ever. Oh, and it also went public. In his letter, Jun called for a “full counter-attack” in China, the company’s home market and the biggest and most competitive consumer electronics market in the world. “Only by winning in China, can we win in the rest of the world,” he said. Xiaomi’s CEO set the goal to regain the number one position in China within ten quarters, and right from the first quarter of 2018, Xiaomi was cruising towards achieving this position. While smartphone shipments in China dropped 21 percent from Q1 2017 to Q1 2018, Xiaomi and Huawei were the only major brands to grow during this period. Xiaomi, in fact, saw a massive spike of 37 percent year-on-year. Xiaomi India MD Manu Jain (R) and Foxconn India head Josh Foulger. A few weeks into 2018, market research firms confirmed Xiaomi displaced Samsung as the number one smartphone brand in India. Samsung contested the claim on technicalities, but as we progressed into the year, it was clear Xiaomi was leading the world’s fastest growing smartphone market. Xiaomi is not only the top smartphone brands in India, it’s the top smart TV brand in the country. Xiaomi launched its range of smart televisions in February 2018 and, in just six months, sold over 500,000 Mi LED TVs, taking over as the bestselling smart TV brand in the country according to IDC. Xiaomi has been disrupting the television market in India similar to how it went about with smartphones. Xiaomi has been disrupting the television market in India similarly to how it entered to the smartphoen industry just over four years ago. Xiaomi’s TV ambitions looked far-fetched initially, but industry leaders like Samsung, LG, and Sony shouldn’t make the same mistake incumbent smartphone makers made when Xiaomi launched its first smartphones in India. In mid-2018, Xiaomi filed for its much-hyped IPO in Hong Kong – with “1810” as its stock symbol. The IPO raised $4.7 billion at a valuation of about $54 billion, making it the biggest technology listing since Alibaba raised more than $20 billion in New York in 2014. Xiaomi’s IPO ended up far smaller than the reported $10 billion target, and Lei Jun acknowledged the unfortunate timing of the offering, as stocks in Hong Kong were taking heavy hits from the escalating trade clash between the United States and China. For industry watchers, the more exciting part of the IPO was the company releasing detailed financial reports for the first time. These numbers don’t lie. Xiaomi is doing incredibly well. Its smartphone shipments have double year-over-year and its revenue went up by 67.5 percent in 2018. A little while before the IPO, Jun made the surprise announcement that the company will “forever” cap net profit margins on hardware at five percent. Of course, what Xiaomi hasn’t made a five percent net profit on hardware yet anyway, and may never. Net profit margin comes after all costs are taken into account, including corporate tax. The percentage is taken by dividing net income (which is after tax, depreciation, interest, and so on) by revenue. Xiaomi’s net margin is tiny — well below five percent — and the company doesn’t rely solely on hardware sales to extract value from its devices. Rather than banking from high margins, Xiaomi has been building an ecosystem of internet services and connected products it can continue to monetize long after the initial sale. Having a larger user base helps, so it’s more important for Xiaomi to sell a lot of devices than to make a big profit out of each individual sale. In 2018, Xiaomi also slyly started putting ads in its MIUI Android skin. These in-your-face ads allowed Xiaomi to steer its large user base towards its online retail offerings and ecosystem products. It is unclear as yet if Xiaomi will alter its approach considering the pushback it received from its users, but as a public company, Xiaomi is far more beholden to its revenues and profit margins than ever before. For the uninitiated, the “Mi” in Xiaomi’s logo is short for “mobile internet,” since Xiaomi was founded as a mobile and internet services company. The company has always maintained it’s been able to price its smartphones competitively because it relies on its services business, rather than just hardware sales. Until 2018, the company had not made any headway in that direction in markets like India. In May 2018 though, Xiaomi brought Mi Music and Mi Video to India — its first internet services to launch outside China. Just last month Xiaomi also revealed Mi Pay, a mobile payment service, launching in beta in India. Much of Xiaomi’s success stems from its bestselling Redmi series. Affordable smartphones in the Redmi series sold in huge numbers in developing markets, giving the name Redmi its own brand recognition. Meanwhile, the mother company grabbed headlines for its first gaming phone, the Black Shark, refining its innovative Mi MIX series, or experimenting with Android One smartphones. Xiaomi is now trying to capitalize on Redmi’s far-reaching recognition, launching it as a separate sub-brand. Xiaomi is now trying to capitalize on Redmi’s far-reaching recognition, launching it as a separate sub-brand, like a Realme to Oppo or a Honor to Huawei. The jury is still out on this move. Unlike other sub-brands, Redmi is not a new series, but an established part of a larger family. Before the Redmi spinoff, Xiaomi surprised us with Pocophone, a sub-brand Xiaomi spun off, for some reason. Its first product, the Pocophone F1, got great reviews all over, mainly for its incredible value-for-money proposition. In its first-quarter 2018 analysis of the European smartphone market, Canalys showed Xiaomi’s market share growing by over 1,000 percent. It was so insanely high the official post from the analytics firm had to put it as “>999%”! Xiaomi is still number four on the list of smartphone vendors, with incumbents Samsung, Apple, and Huawei, far above it in shipments and market share. It only entered the European market a short while ago, and Samsung’s and Apple’s market shares went down in that period. Xiaomi’s first entered Europe with the Mi A1 and Mi Mix 2 in Spain towards the end of 2017. 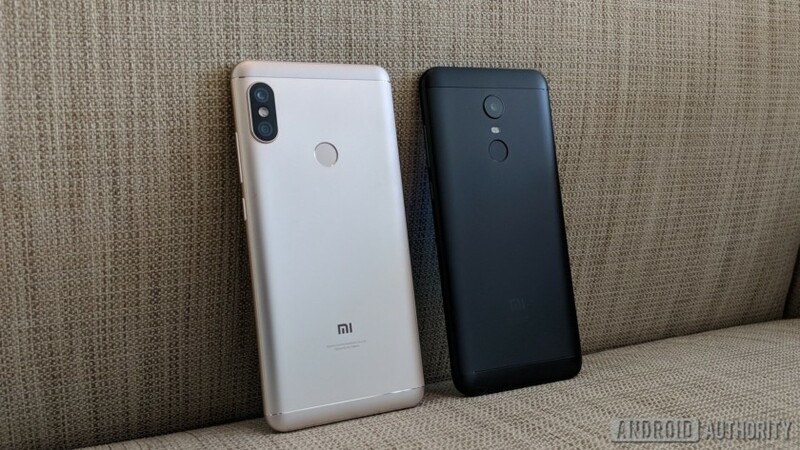 In May last year, Xiaomi announced its partnership with CK Hutchinson to bring Xiaomi products to 3 Group Europe stores in Austria, Denmark, Italy, Ireland, Sweden, and the U.K.
Xiaomi also hosted its international launch of the Mi A2 and Mi A2 Lite in Madrid, demonstrating its growing interest in the market. In November, it also opened its first Mi Store in London. Just at the start of 2019, we’ve also learnt that Xiaomi is eyeing the next phase of growth and has reportedly launched a dedicated African department to drive expansion on the continent. Xiaomi smartphones are currently available in countries like South Africa, Kenya, and Nigeria albeit via third-party distributors. A direct approach could potentially result in a broader range of devices and lower prices. Last year, Xiaomi reiterated its hopes to enter the U.S. smartphone market sometime in 2019. The company did not provide a specific timeframe, though Xiaomi senior vice president Wang Xiang called the U.S. market “very attractive.” The company has already allocated engineering resources to make U.S.-friendly versions of its smartphones. Wang clarified later that Xiaomi’s talks with U.S. carriers have yet to result in an agreement. Chinese manufacturers have had a tough time in the U.S. lately, because of escalating tensions in Sino-American trade relations. Companies like Huawei and ZTE have struggled to fend off accusations of deep ties with the Chinese government. Xiaomi will also face an uphill battle, though Wang hopes the company will avoid the political issues of other Chinese companies because it only offers consumer products. If Xiaomi manages to find a foothold in the United States, it will no doubt help the company continue to stake a claim as one of the top smartphone makers globally. Along with the company’s expansion towards the West, 2019 will also be the year that competition could catch up with the Xiaomi juggernaut, especially in the East. In 2018, brands like Honor, Asus, HMD Global, and the newly minted Realme upped their game and offered some great affordable smartphones that matched and even surpassed some of the Redmi devices. And just at the start of 2019, we have the grand old Samsung aiming to take a jab in Xiaomi’s playground with a new Galaxy M series. Outside of China, and now in Europe, Xiaomi hasn’t managed to create demand for its flagship smartphones. Most of them, in fact, haven’t even been launched in markets like India, where budget devices make up the bulk of the market. Xiaomi, for many, represents affordable smartphones – and that’s a double-edged sword. A category leader is a leader, yes, but only in that category. On the contrary, brands like Asus, Honor, HMD Global, and Samsung have a broader portfolio and have a stake in the upper mid-range and premium smartphone category. These companies can compete with brands like Oppo, Vivo, and OnePlus who exclusively play in that segment. Maybe spinning off Redmi as a sub-brand is a step towards this goal, allowing Xiaomi to go upscale. While smartphones sales are on a decline, Xiaomi has been seeing incredible growth, but its real challenge is only coming now, as it expands to more markets and seeks to broaden its smartphone portfolio across the board.